Khatta Sandwich Dhokla, (Savoury Rice and Lentils Steamed cake) an evergreen and lip-smacking delicacy is from my very own Gujarat. A Soft, spongy and utterly delicious treat is perfect for any time snack, breakfast/brunch or serve in a Gujarati thali as a farsan (savoury dish). We Gujju love our delightful snacks and are famous for it, the states of Gujarat and its people a.k.a Gujarati, synonymous with the word Dhokla or some prefers to say Dhokra. 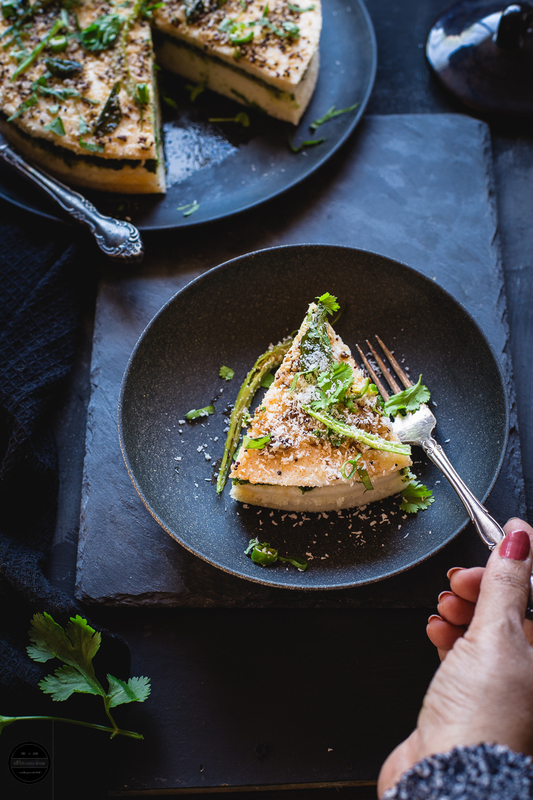 But No, we don't eat Dhokla for everyday breakfast the way they show in Hindi TV serials, Dhokla can be eaten any time of the day, most popular for a tea time snack. In my house, I prepare many different varieties of dhokla recipe every 4-6 weeks over a weekend for lunch when all the family members are together there to enjoy Garma Garam ( Hot and steamy ) Dhokla with various type of chutneys and a cup of masala chai. When you introduce yourself to someone as a Gujarati, then sure the request will be there for perfect Dhokla recipe. A few years back, I was invited to my son's school for some event and I met a couple of Indian ladies who were so keen to learn Dhokla, luckily in the same school there were cooking classes going on, so we requested for an Indian cookery lesson and I was delighted to teach many Indians and Non-Indian, khatta Dhokla recipe. 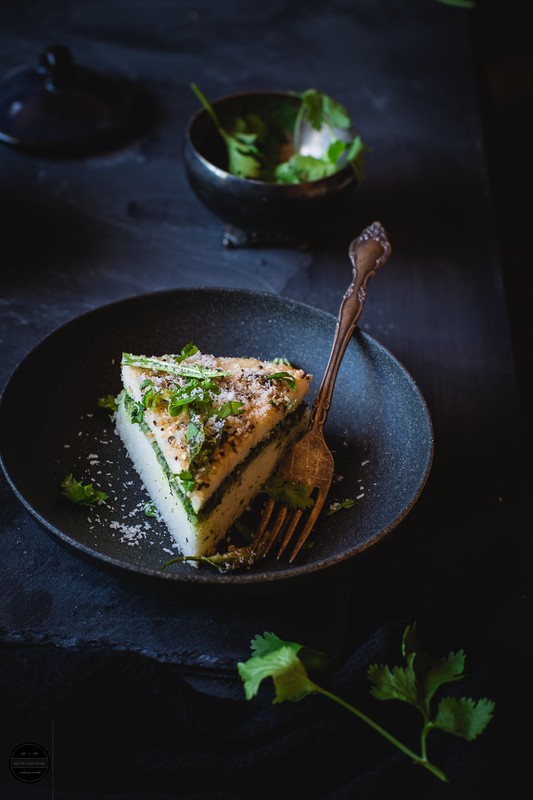 My Dhokla and it's recipes are so popular amongst my kid's friends and families that a few years back, one of our family friend asked me to prepare and I prepared an Instant Khaman Dhokla for almost 40 people single-handedly as a prasad. ( No, I did not charge a single penny ) and now my daughter's friends from university enjoys Khatta Sandwich Dhokla. Dhokla, is a well-balanced dish that can satisfy your junk food craving, and are easy to digest. Khatta Dhokla is prepared with Rice, Urad Daal flour that is soaked with sour yogurt and left it to ferment for at least 8-10 hours. So hey guys, here I am with my super tasty, fluffy and soft Khatta Sandwich Dhokla, filled with finger licking green chutney and topped with aromatic tempering prepared with green spicy chillies and curry leaves and garnished with freshly chopped coriander and coconut. The great thing about this dhokla is that it can be eaten hot or cold. Tempted! Go on then, soak some rice and daal and follow this recipe to a T and enjoy it! I have used springform cake tin to steam the dhokla so I can have a whole round disk of it. Adjust the spiciness by increasing or decreasing green chillies according to your taste. Khatta Sandwich Dhokla, is a vegetarian healthy, delicious and satisfying dish and hails from the western state of Gujarat in India. This recipe can be made vegan too. 200g sour yogurt (Khatta Dahi) Vegan can omit yogurt totally or use an alternative. Clean and wash rice and urad daal then soak both together in a bowl in cold water for at least 8-10 hours or overnight. In the morning discard the water, Then the soaked rice and daal mixture is ground into a coarse paste adding enough water. Don't add too much water in the beginning, you can always add little water afterwards if you think the batter is too thick. The batter has to be the same consistency as the idli batter. Add yogurt and salt. Mix well and let it fermented for 6-7 hours in a warm place. In the UK takes 10-12 hours as we have cooler weather here. Once you are ready to prepare Dhokla, Once you are ready to prepare dhokla, mix oil and soda with little water in a bowl and add into batter. Mix well, if the batter is too thick add little water. Start heating water in a big pot. Steam over water about 15-20 minutes. Pierce knife and check should come out clean if done. Leave it to cool little. Steam one more plate of dhokla, so now you'll have 2 dhokla plate. Remove both dhokla disc from the cake tin. Place one dhokla piece on a plate, spread a thick layer of green chutney then place second Dhokla cake on top of the chutney. Gently press it down and leave it aside. Now prepare vaghar in a small pan by heating oil, add mustard and cumin seeds. Once they splutter add hing, curry leaves and green chillies and a couple of spoon water. Let the mixture come to boil and turn off the heat. 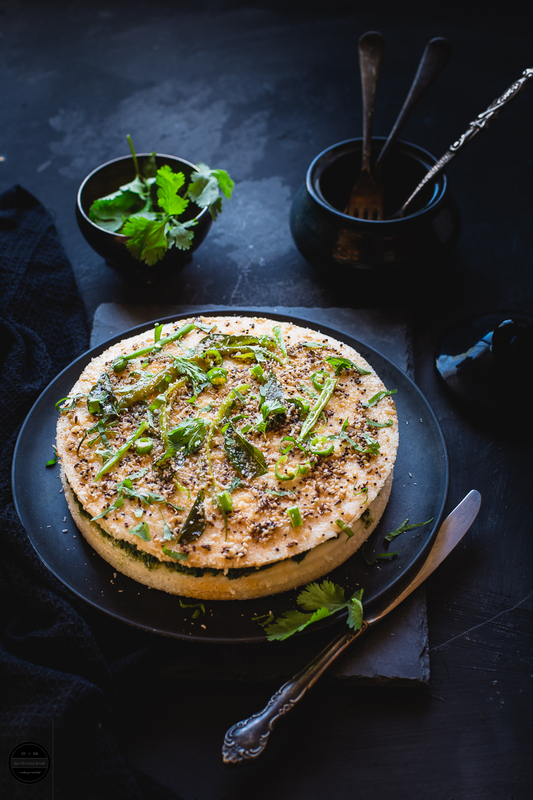 Pour the vaghar mixture on top of the Dhokla cake, garnish it with coriander and coconut. Cut into slices and serve it as it is or with a cup of masala chai. I love dhoklas .. the sandwiched version is still better as it has the chutney already.. easy to munch.. Thanks Shobha, also these are easy to carry for a picnic as you won't need extra Tupperware for chutney. I am a big fan of dhoklas and am saving thsi recipe Jagruti! I like the use of spring form pan and your fabulous photos too. 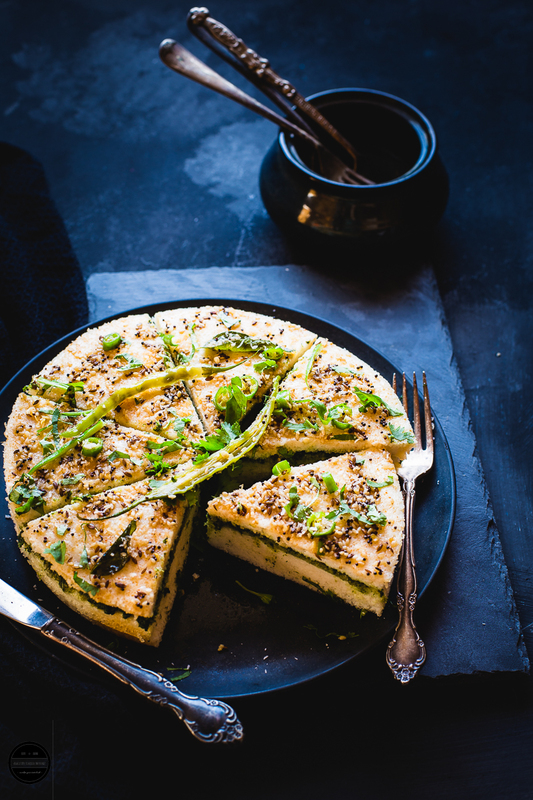 Lovely clicks for an amazing Dhokla recipe Jagruthi. Sandwich dhokla looks and sounds absolutely delicious. I love khatta dhokra. Your sandwich version looks so tempting. Next time will make them like yours. Also a great way to serve dhokra to guests. Thanks Mayuri, Let me know hoe you like it. Jagruti khatta sandwich dhokla looks super tempting. I wish I could taste it. Bookmarking it to try later. I can feel the amazing taste of this sandwich dhokla. Thanks Sujata, hope you guys enjoy my recipe. How irresistible this Khatta sandwich dhokla looks, wish i could prepare as much as prefect like your Jags, such a pretty looking dish you know. Well done yaar. And dhokla will definitely please our tastebuds without any fail. Drooling here Jagruti! I am nursing a not so good stomach and this one dhokla has me drooling. I wish I can reach out and eat. Looks so delicious and thanks for reminding me that I have not made dhokla in ages. Thanks Archana, hope you are feeling better now. Thanks Poonam, let me know how you guys like it. Thanks Maria, please do try it, you'll like it. Love dhokla and now I am drooling Jagruti. This khatta sandwich dhokla is delicious. Looks totally lip smacking and delicious, can have these dhoklas any time of the day! Love this tempting khatta dhokla to the core and my family went crazy for this when we tried it few days back. 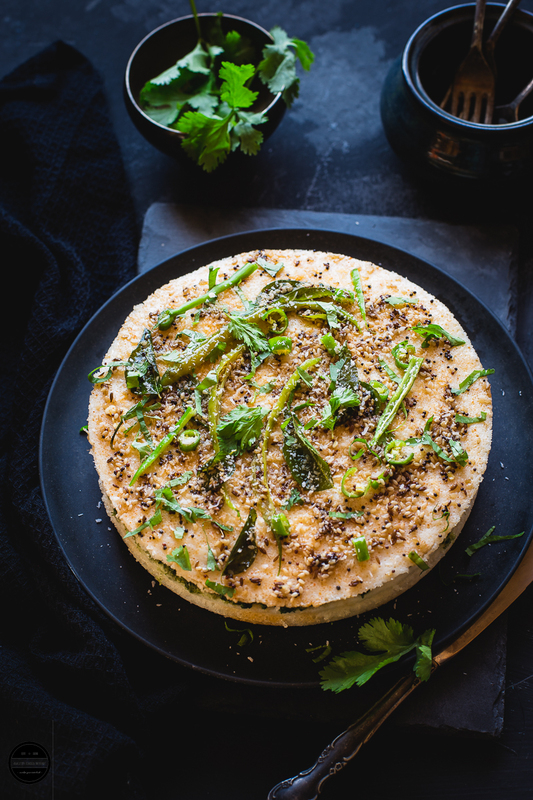 Your pictures are making this dhokla look even more inviting and yummy. Thanks sasmita, hope you guys like it. I love dhoklas and this sandwich dhokla looks scrumptious. Feeling like just grabbing it from the screen. Thanks for the fab recipe jagruti.